What do you do with a sick defuser? If you can’t helium, and you can’t curium, then you might as well barium. 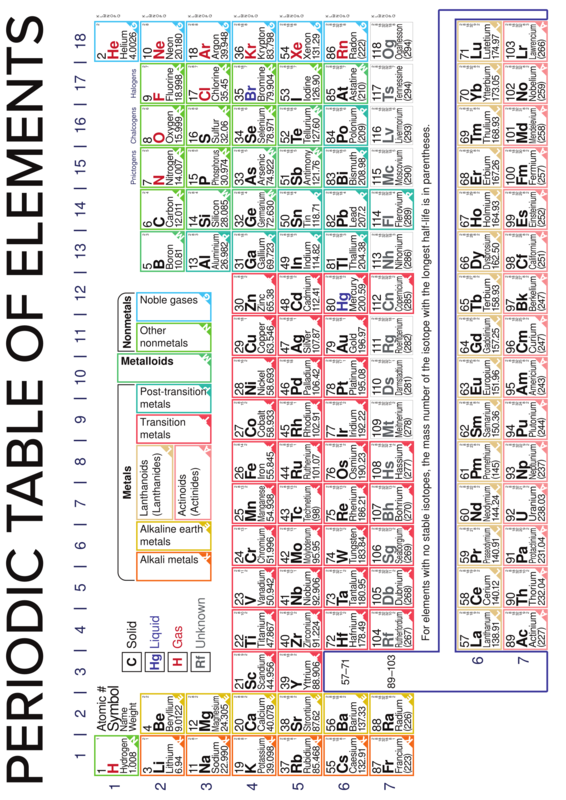 This module shows an element’s name, a symbol, a number and the periodic table of elements. Follow the steps below and press the button with the same atomic number in the periodic table that is calculated in Step 5. Pressing the right button will solve the module. Pressing the wrong button will end up in a strike. The Periodic Table can be found below or here. Find the atomic number of the shown Element’s Name. Add the number of batteries to this number. Multiply this number with the corresponding colour in Table 1. Find the atomic number of the shown Symbol. Add the number of ports to this number. Find the atomic number of the shown Number :P.
Add the number of indicators to this number. Find the atomic number of the coloured button. The squares with stars do not count! Add the sum of the digits in the serial number to this number. Add up all the final numbers from the previous steps. Subtract 118 from this number until the number is between 1 and 118 (1 and 118 INCLUDING). When at 0 or lower: You have gone too far!